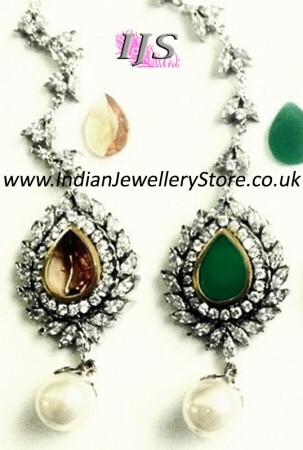 Indian head jewellery in Victorian antique gold and antique silver plating and 6 amazing changeable colours. Set with Fine American Diamonds and real pearl stones. 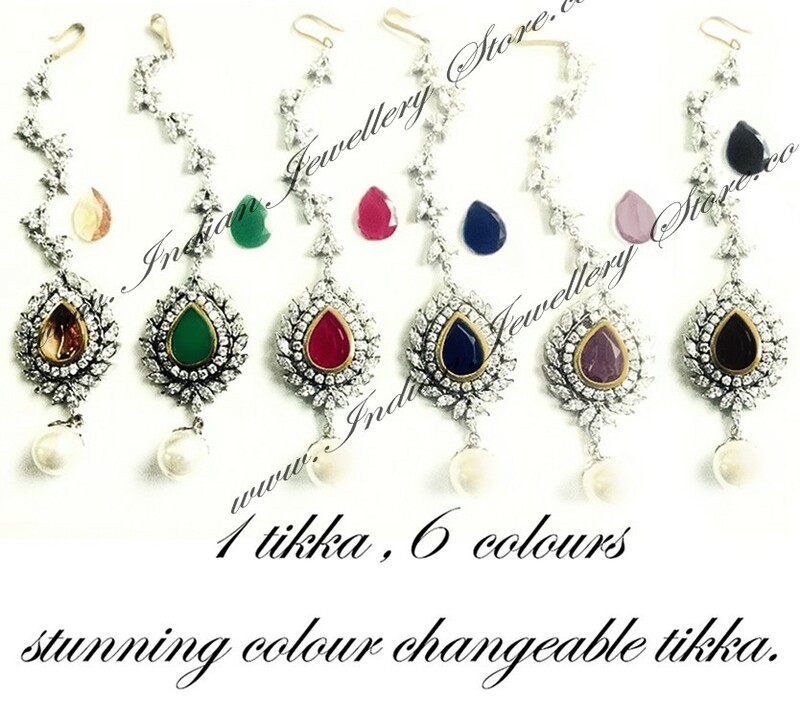 Set includes: 1 tikka and 6 interchangeable stones: gold, jade green, ruby, sapphire blue, dusky purple and black. Please take care when changing stones. AMAZING value for money. Tikka width: 3cm approx. , length : 14cm approx..